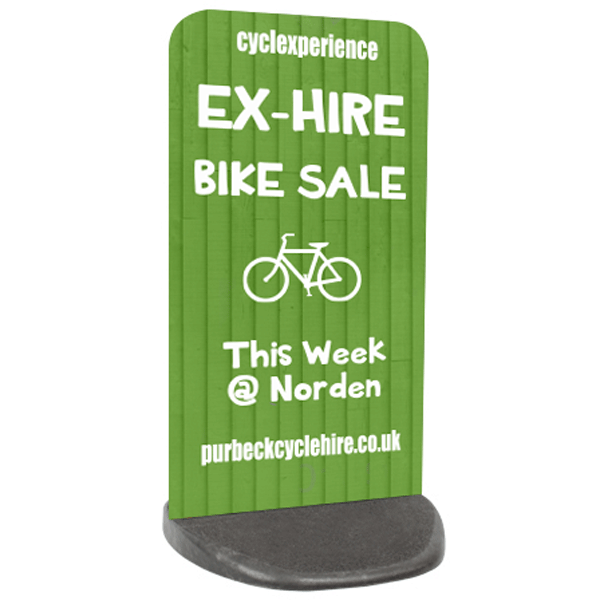 With a display area of 460 x 850mm to get your message across. These pavement signs with their weighted bottoms can withstand winds up to 89mph! Either get a duplicate advert printed on both side or get a different image each side good for arrows to point people in the right direction to your business.